Here’s something you don’t find every day: An uber-rare stereo pair of AKG C408B Small-Diaphragm Condensor Percussion Mics, NIB/NOS with the B9 Battery Pack / Preamp Module. These mics are killer on percussion performances – especially wide-dynamic instruments such as hand drums, tabla, dumbec, et al – and the original price tag indicates just how proud of them AKG apparently was: MSRP was a whopping $1289.00 EACH (!) when first introduced in the late 1980’s. 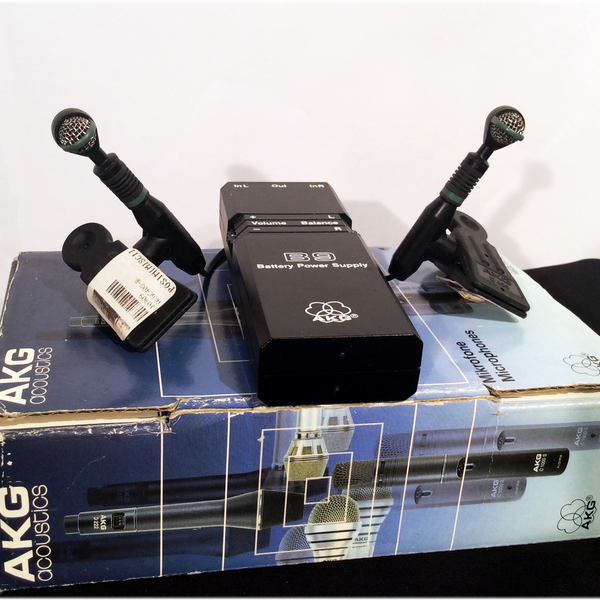 We’re offering this amazing pair of crazy-cool mics (which look for all the world like shrunken-head versions of the ubiquitous AKG D112), NIB/NOS (New In Box / New Old Stock) with original packaging, documentation, AND the B9 Battery Pack / Preamp Module. The B9 supports both mics - marked as L(eft) and R(ight) – featuring Volume and a Balance control to adjust relative level between the two mics. 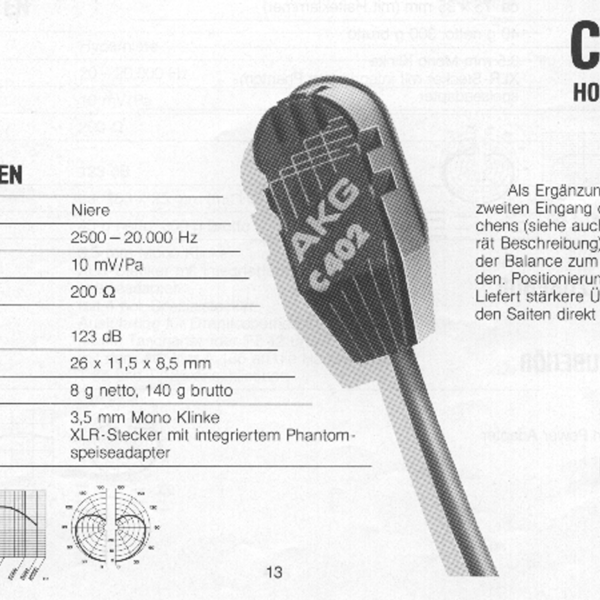 Two 1/8” mono inputs provide phantom power to the mics, Output is via Mono ¼” TS phone plug. 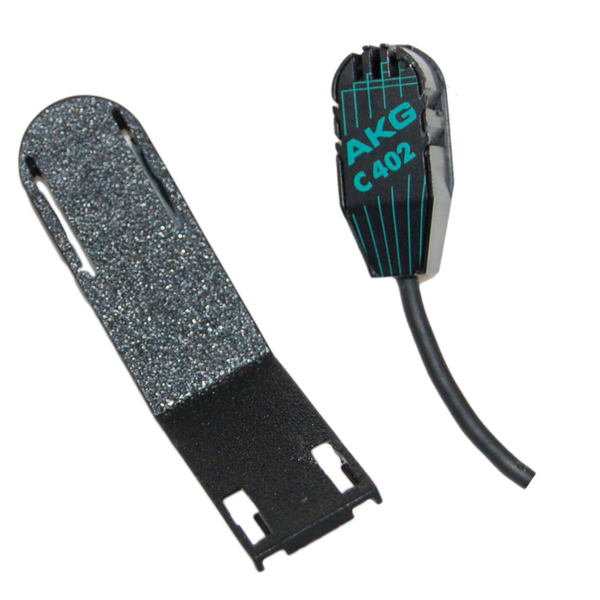 To sweeten the deal even further – we’re throwing in 1x AKG C402 Electret Condensor Instrument Microphone FREE with purchase of the kit. 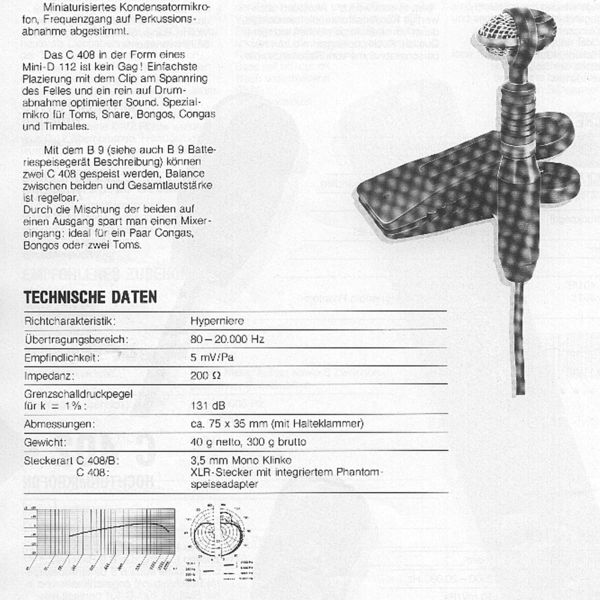 It’s also NOS and comes with the proprietary mic clip – but comes sans paperwork or original packaging, which appears to have been sucked into an alternate universe through a dimensional vortex during the last CERN power-up. (Maybe.) 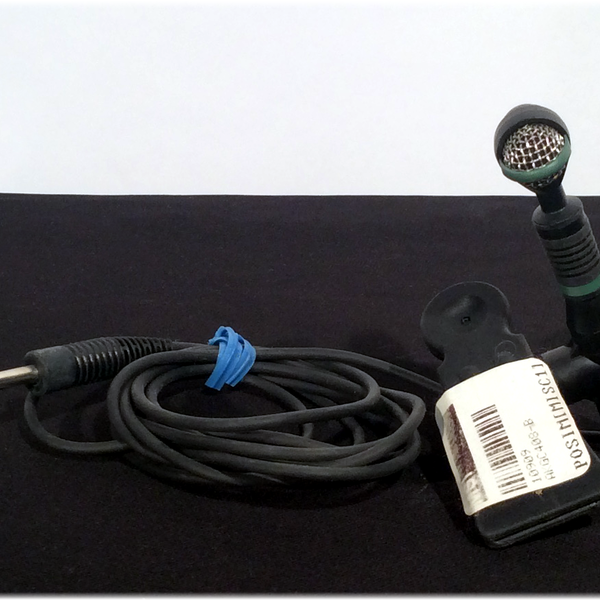 Employing the 1/8” connector cable, it works with and is supported by the B9 Battery / Preamp Module as well. Everything fully tested and in perfect working order. That’s THREE ultra-rare AKG condensor mics PLUS the B9 Module, all for less than you’d pay for a single condensor percussion mic. Pretty sweet deal.